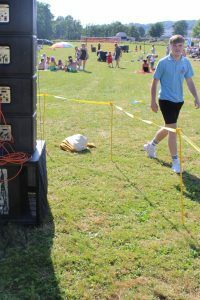 We have worked in Carmarthen at a variety of locations including a few hotels, civic centres and even at outdoor events. 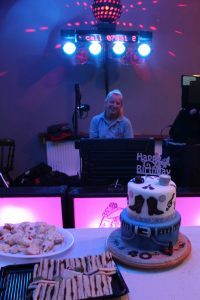 We are experienced in many aspects of functions from birthday parties, wedding, teenage UV discos and children’s show. We always make sure that we play requests mix the music to suit the audience age range and tastes. We can work off a play list or run the music with the experience we have to keep people happy and dancing. We will always do about best, working as DJs in Carmarthen, to ensure that your event runs smoothly. 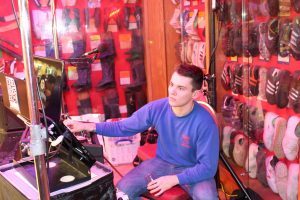 Our sound and lighting equipment is of a top professional level and is checked on a regular basis to ensure safety and reliability. We look at ways on how we can improve the service to our customers and keep up to date with developments. You are take a look around the website and see reviews and blogs on how we make sure that everyone is happy and great memories of their parties. We have been to many venues including Ivy Bush Royal Hotel, Carmarthen Athletic Club and Abergwilli Carnival. We are available for Wedding, Engagement, Birthday, Teenage and Kids Parties in Carmarthen.